Capacitive touch screen displays are screens that use your body’s electricity to send signals on capacitive touch screen devices. In this device, the integrated processor receives the electric interference, then registers it as an interactivity signal. After having received the interaction, the computer display system generates a response recognizable to humans on the screen. Many electronic devices, like kiosks, ATMs, interactive signage, 3D TVs, smartphones and gaming consoles rely on capacitive technology. 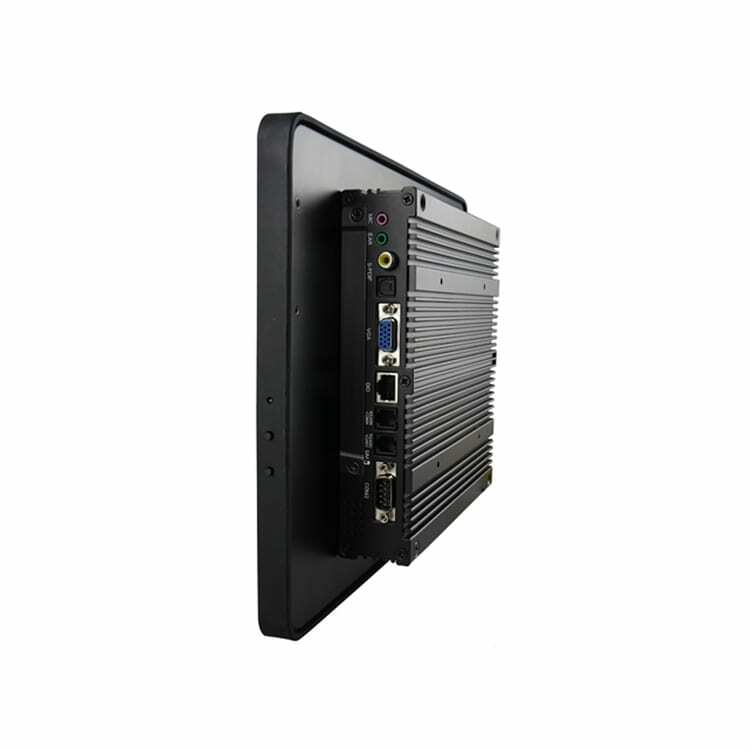 Touch screen PCs are user-friendly solutions perfect for industrial and commercial use cases. Allow customers to make purchases using touch interfaces. Manage industrial processes with streamlined touch screen PC interactions. Sell, inform, educate and interact with customers in a kiosk format. Control and monitor residential and commercial systems that use automation. Manage digital signage activities using touch screen PC systems. Industrial applications can be used to activate, monitor and control manufacturing. Educate customers and help them find inventory. Hotels and hostels can streamline guest service requests. 9. Restaurants & bar interfaces. Make the ordering process simpler and streamlined. 10. Logistics and transportation interfaces. Display purchase options, tracking and customer service options. There are numerous ways that capacitive touch screen PC systems can be used to enhance productivity, streamline user processes and increase sales. Have you considered how you might apply touch screen systems to your specific industry? Capacitive touch screen computers have limitless applications. This technology has evolved to work at home, in the office, manufacturing plant, or laboratory. 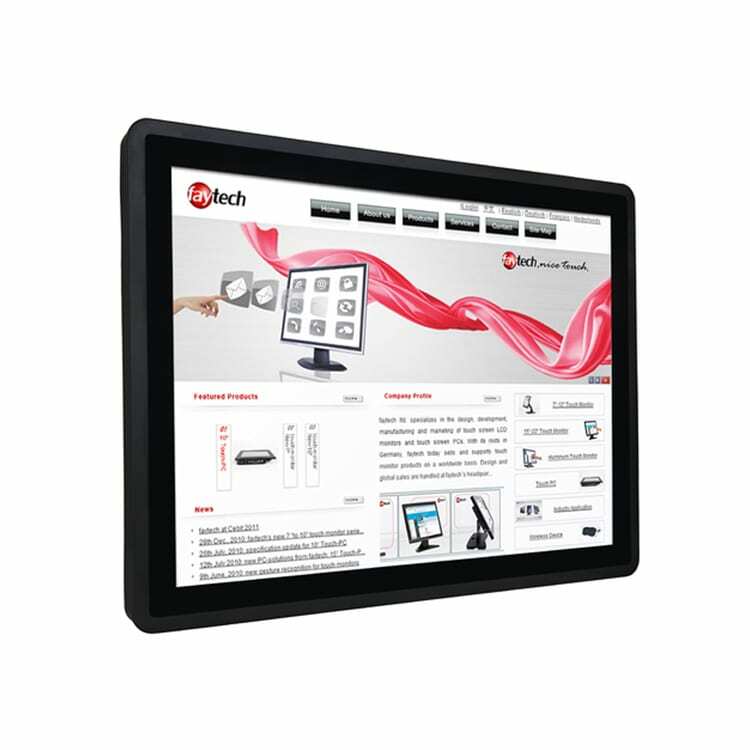 All-in-one capacitive touch screen PCs are affordable, innovations that streamline processes and reduce costs in most industries. Capacitive touch screens utilize a control display based on the conductivity of a human finger or a stylus for input. Capacitive touch is different from resistive touch or surface wave touch displays. These touch displays sense input from either fingers or styluses, but capacitive touch screens have to be interacted with using one’s finger or a specialized glove or stylus pen. When a capacitive touch screen is signaled, a charge occurs at the exact contact point. This change is measured in the electrostatic field to find the touch location. Certain designs utilize circuits located on every corner of the capacitive panels to measure the amount of charge. The interaction information is sent to the controller to be processed. With capacitive multi-touch screens, the sensors happen to be arranged on grids that allow for complex input patterns. While the input on resistive touch technology functions via physical pressure that results in two layers being pushed together, capacitive touch technology is not affected by external elements in this manner. Most modern smartphone and tablets utilize on capacitive touch. These include many Microsoft and Android phones, in addition to the iPhones and iPads manufactured by Apple. If you are interested in adding capacitive touch technology to your organization, contact our experts today. faytech North America is a global leader in capacitive touch screen devices. We would be glad to evaluate your use case scenario and offer our opinion and suggestions.